Lindsey at The Pleated Poppy started What I Wore Wednesday as a “home for those of us who need a little motivation to get dressed each day, and also a great place to get inspiration for real outfits for real people” and have found both her pics, and those of the other ladies, a great way of keeping my own dress standards up. It is so easy to slip into wearing a tee with a pair of yoga pants every day (or worse, staying in PJs all day! ), but I truly believe that our husbands, our kids and most importantly, ourselves, deserve better than that. I’m not saying we should be swanning around in cocktail dresses all day long – far from it – and if you are a regular reader, you will know I am in jeans most days. 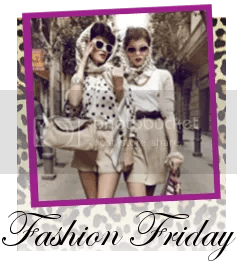 Instead, it is about taking a tiny bit of effort, and perhaps some wardrobe planning, so that we can look put together, and maybe even stylish, as we go about our days. If you link up to Lindsey’s site, let me know in these comments, because I would love to check out your What I Wore Wednesdays! The cold, cold weather (by sunny Perth standards, anyway!) had finally kicked in here in Perth, after a relatively mild (temperature-wise) autumn and early winter. It is still very dry, so we have been blessed with beautiful clear and sunny skies AND the cold that I love. Weather like this brings out the best in me, and I felt like being a little bit glam today! There was not much on today – the usual school run, and Stephen’s soccer training in the afternoon. I spent today at the hospital and surrounds waiting with Mum for Dad to come out of his surgery, so I was really more focused on comfort, but I still wanted to look put together. I really think that despite our best intentions to not judge people on appearances, most people can’t help but do exactly that, so if you look presentable, chances are you will be dealt with in a better way than if you weren’t. Not much happening today – a quick check in with Dad at the hospital, and a casual (and delicious!) Italian lunch down at Freo Harbour. This is one of those outfits that I know doesn’t suit me that much, but every now and then, I say “stuff it – I’m wearing it anyway”! Today is meant to be the last day of sunny weather before a week of heavy rain, so I decided to wear my suede boots while I was still able to. Otherwise, another run-of-the-mill day – the school run, and then ballet after school for Irini. And then the heavens opened… it is bucketing down, and had been all day long, and I think my favourite accessory today was my umbrella!